Despite these recent advances, millions of families remain poised to lose their homes. 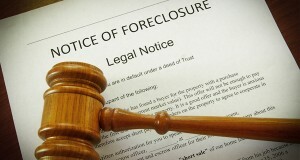 There is room for states to build on these reforms and help avoid unnecessary foreclosures. Over the last several years, some of the most significant problems have included the failure to review homeowners for a loan modification and foreclosing on borrowers even as the servicer is considering an application for a modification. Require lenders to engage in loss mitigation activities to prevent avoidable foreclosures. Require lenders to establish clear procedures for homeowner outreach, straightforward timelines, detailed denial notices, an affidavit requirement and reasonable rights of appeal to facilitate the loss mitigation requirement. Provide homeowners with the right to halt a foreclosure sale when a servicer breaks the law, and until the servicer complies with the law’s loss mitigation requirements.